Education, like almost every other sector of our society, has evolved leaps and bounds in the recent years. It has undergone a significant change in one generation along with the evolution of the role of administrators even. Traditional techniques, based on the instructional mode of learning i.e. explaining a topic with the students taking notes will never go out of sight. However, the visionaries of education have been divided in their hypotheses with regards to the optimal method of learning. Sir Ken Robinson, an internationally recognized leader in the development of creativity, innovation and human resources in education and in business, has in his various wry and impactful talks has been a critic of the present education system and has always advocated the importance of nurturing creativity in learning. Closer home, Dr. SugataMitra and his ‘Hole-in-the-wall’ experiment also demonstrated that learning really has no language and the barriers to learning are demolished when curiosity overpowers the constraints and challenges of life. • Innovative Design method: This technique revolves teaching through group analysis, brainstorming creative ideas. Design method prepares students for the real world and arouses curiosity and enables one to develop analytical and reasoning skills. • Flipped classroom model: This method encourages students to be prepared or have a rough idea of their lessons before class. This way, classrooms become a dynamic environment allowing students to go beyond their normal boundaries and explore their natural curiosity. • Gamification: Often students learn without realizing through this style of teaching. Designing projects appropriate as per student’s age and knowledge will make the learning process more attractive. The instructor can encourage students to create online quizzes on a certain topic. Students can challenge their friends to participate in these quizzes and introspect. This is for sure fun while learning. 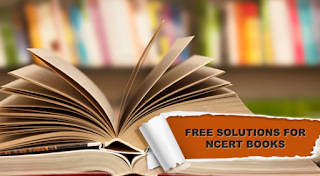 • Free online learning tools: There is a wide array of online learning tools. A broad range of websites gives access to NCERT textbook questions and answers class 10. The content is developed by experts and supplemented by analytics and other collaboration to give a real-world experience from the comfort of their homes. • Going the visual way: Mind maps, flow charts and Venn diagrams can be included as a part of teaching aid. This can help you to summarize the lessons taught. Weaving technology with education delivers an edge over traditional methods of learning and are more in tune with the current generation and their abilities. What better way to impart knowledge than by talking the language that the kids understand?